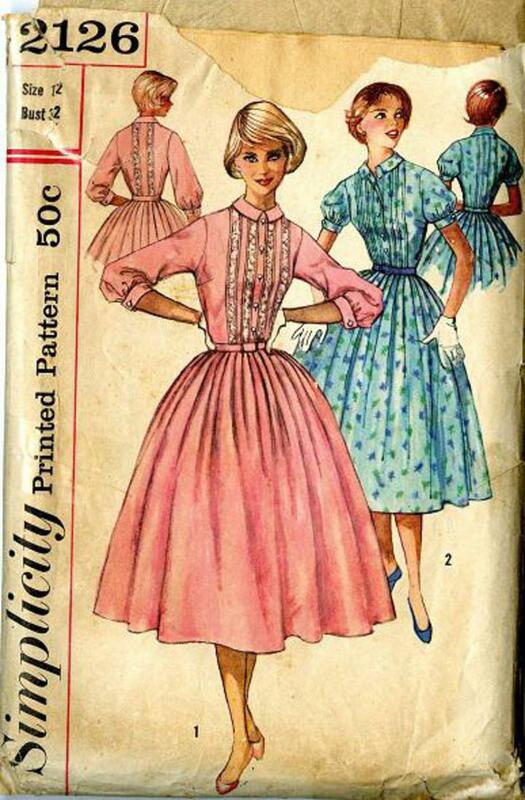 1957 Simplicity #2126 vintage sewing pattern, misses' one-piece dress, size 12. Both views have tucked-front bodice with top-stitched center front buttoning band, small collar and set-in sleeves gathered at lower edge. 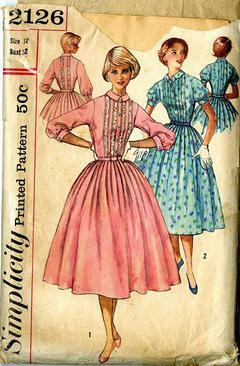 Bodice back features tucks at both sides of center. Full skirt is softly pleated and has opening under pleat at center front. Missing piece 'H' skirt, sold AS-IS.